Church flower decorations may seem overwhelming to a novice floral designer, but I always loved creating the big designs. 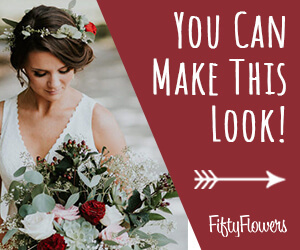 They really do green up and then flower very quickly, versus more detailed bouquets, corsages or boutonnieres that have to have more painstaking details. I love the look of variety that different greenery gives. 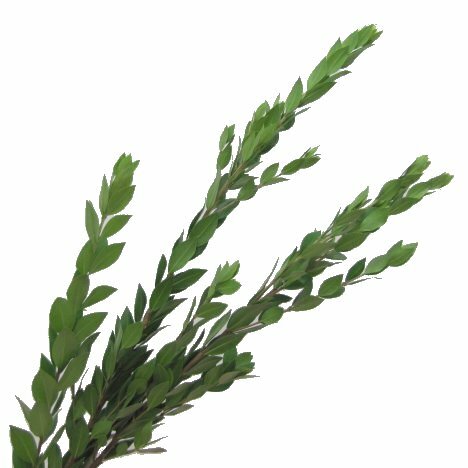 This lovely green is called myrtle and consists of perfect leaves placed down a long brown slender stem. 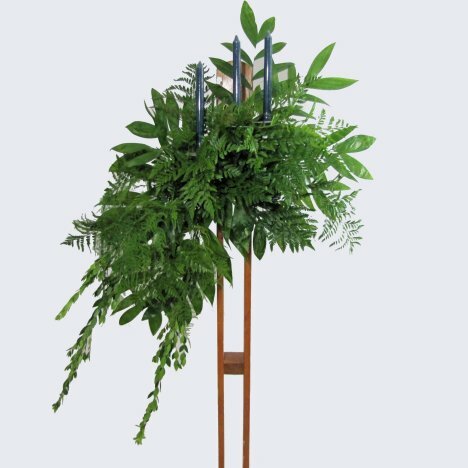 This green has smaller laterals that can be removed and set aside for later use in corsages and boutonnieres without taking away from the overall design of the candelabra. 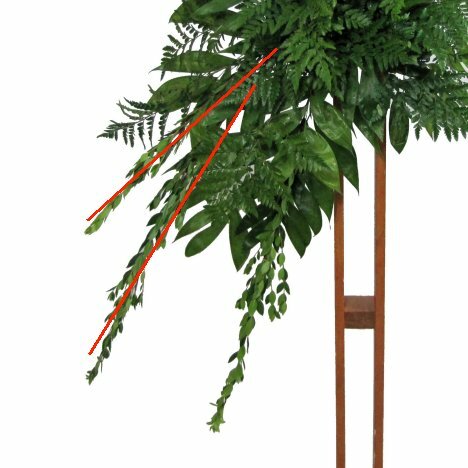 Instant trailing length gives a dramatic look of a big, dramatic presence. I'm going to insert just a few stems on the lower left and upper right of the design. 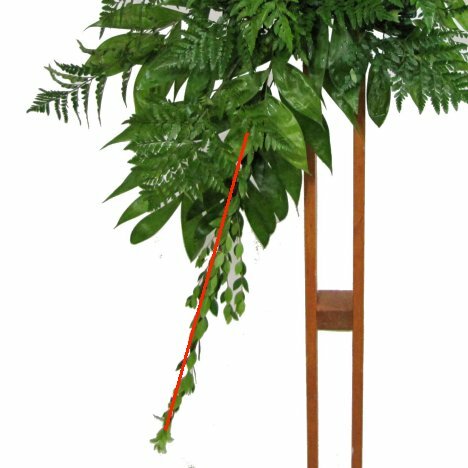 Follow the downward angle already created by the jade and leather leaf fern. 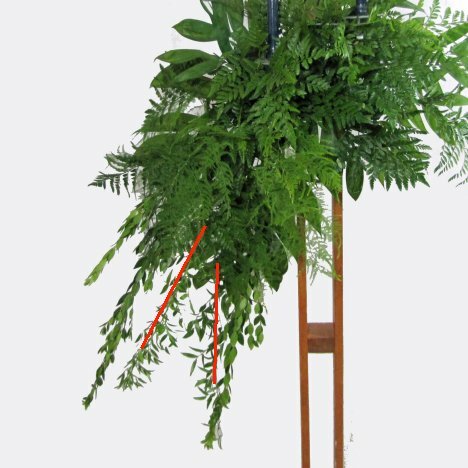 Pulling away, you can see just three stems of greens instantly adds more interesting detail - even before the flowers are added! These pieces may have to wait until the piece is wired to the candelabra at the church. It depends on how much room you have in your delivery vehicle. 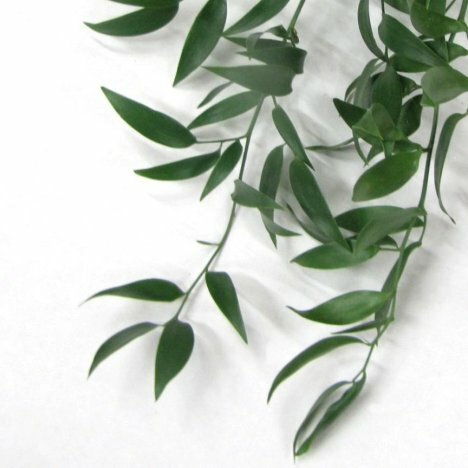 Finally, the last of the greenery is inserted, using the lovely slender stems of Italian ruscus. There is another variety of ruscus that comes in a variegated look, with a combination of different shades of green. I added the long trails of ruscus behind the myrtle already in place. 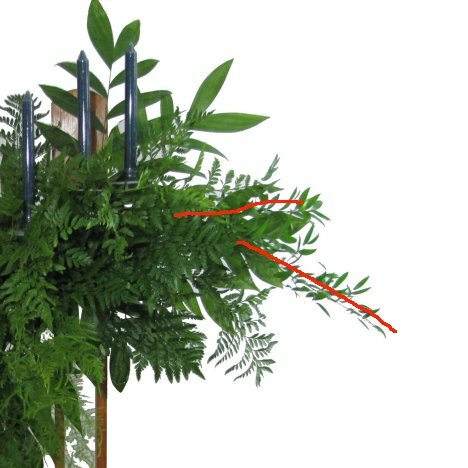 Once again, I added balance with a couple of stems of ruscus on the right side of the candelabra design.